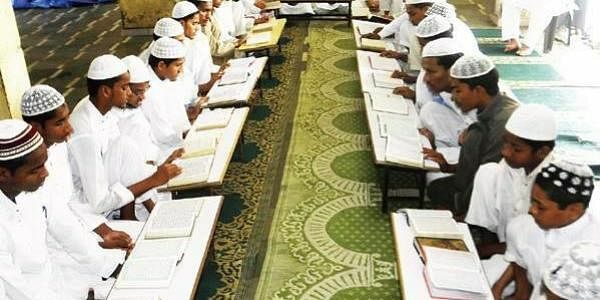 RAIPUR: Chhattisgarh is going to become the first BJP-ruled state where formal school curriculum subjects will be taught in madrasas from Class 9 onwards, starting from the next academic session. The move is the culmination of a year-long exercise by the Chhattisgarh Madrasa Board to streamline education provided in madrasas and go beyond religious teaching. The Board is set to introduce a course structure based on National Council of Educational Research and Training (NCERT) syllabi to qualitatively improve madrasa education. “After West Bengal, Chhattisgarh is going to be the only state in the country to offer regular courses at the high school and higher secondary levels in madrasas from the next academic session. In the coming years, computer education will also be introduced in the madrasas,” school education minister Kedar Kashyap said. Chhattisgarh has 319 registered madrasas, where the regular courses would be offered. As many as 286 madrasas are getting a grant from the Board. Since 2005-06, students passing out from Class 8 in the madrasas have had to go for correspondence courses for high school and higher secondary education, owing to which several students are believed to have discontinued their studies. “The new syllabus will be enforced from 2018-19 in the madrasas. We are going ahead with the vision of Shri Atal Bihari Vajpayee, who wished to reform madrasa education, and Chief Minister Dr Raman Singh, who advocates qualitative improvement in madrasas in line with skills development and the job market. Our mission will be accomplished only when Muslim students connect with the mainstream education system,” Madrasa Board Chairman Mirza Ejaz Baig told The New Indian Express. Facilities in the madrasas will be improved for teaching the new curriculum. Two additional teachers will be appointed in the 97 madrasas where the 9th class will start next year. Around 2,200 students will initially benefit from the move. The Board will seek grants from the Union HRD ministry and the state government to ensure that the new courses don’t face any constraints. The groundwork to start regular academic courses in madrasas began a year ago. Experts from the NCERT, Aligarh Muslim University, Delhi University, and Jamia Milia, among other institutes, were invited and consulted to decide on the courses. Workshops and training for madrasa teachers have begun across the state. “The Madrasa Board will function like the Chhattisgarh state board of secondary education. The teaching, examination and certification will all be done by the Board,” Baig said. The new curriculum will include arts, science, maths, social science, and commerce as subjects. Efforts are on to get all madrasas in the state to register with the Board. The leaders of the Muslim community now hope that their children will go for higher education and pursue graduate and postgraduate courses.